Art historian Andrew Graham-Dixon uncovers the truth behind the greatest art heist of the 21st century. In December 2002, two priceless paintings were stolen from the Van Gogh Museum in Amsterdam in a brutal and audacious robbery. A real time journey witnessing the rise, fall, and ultimate redemption of the fierce feminist pioneers of American grunge punk: L7. 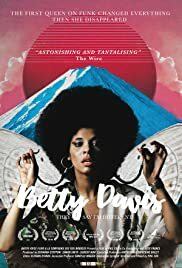 Original Funk Queen Betty Davis took on 1970's establishment America and changed the course of women in music forever. Then she vanished. Forty years later, Betty, in a creative and constructed narrative, finally shares her extraordinary story.